Are you a manufacturer, service or e-commerce business using QuickBooks? 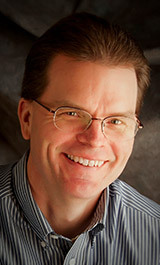 If so, get the help and insights you need from Scott Gregory, a field-tested QuickBooks Expert for 30+ years! Don’t waste countless hours sitting through a “training class” hoping that they cover the specific problems, questions and issues your business is facing with QuickBooks. Get answers, ideas, and options delivered directly to you via a virtual consultation using GoToMeeting. Distance is not a factor – Scott works with clients all over the United States. Why Choose Scott Over Other Quickbooks “Advisors”? When it comes to getting it right for your business, it’s essential to understand that street smart beats book smart. Don’t risk your business to others that “think they may be able to help you”.